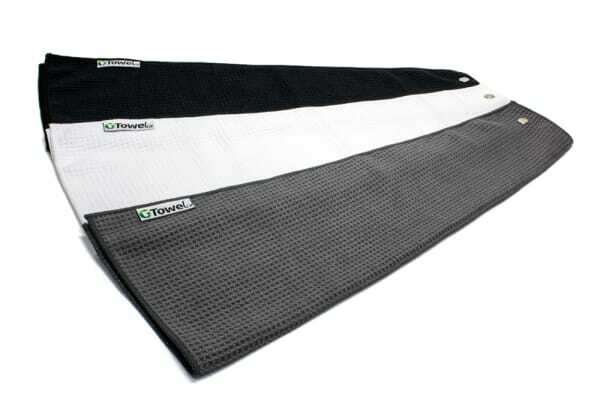 This 3 pack for microfiber waffle weave golf towels are the perfect design for any golfer. These waffle golf towels are sized to be taken with you to the green, where you can lay them down on the second cut, and lay your putter or wedge grip to keep it dry. 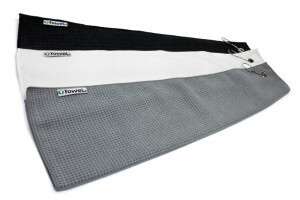 Each towel has a snap allowing you to connect it to anything from your bag handle, push cart grip, or cart basket. Buy microfiber golf towels in bulk and snap them together to make a multi-colored towel; the with side for your hands and body, and the black or grey towel for your clubs. YOUR GREENSIDE ASSISTANT - Take waffle golf towels with you to the green and lay your putter grip down while chipping, and your wedge grip down while putting.